Old Malt cask get their second appearance in our calendars and showcase Balmenach Distillery. This is the first time we have had the pleasure of bottling a cask of Balmenach in any of our editions so I’m excited to share this dram with all of you. As you may be aware Old Malt Cask is a brand owned by Hunter Laing. They always bottle at 50% alcohol for this brand and always do single cask expressions. No chill filtration or caramel colouring ever touches these whiskies so you can be happy that every ounce of deliciousness is still in the bottle. 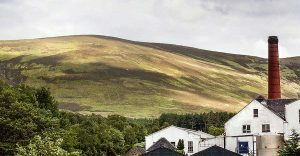 Balmenach is a Speyside distillery that was established in 1824 by James MacGregor from farmers and illicit distillers living in Tomintoul. It stands beneath the nearby hill of Tom Lethandry where the Jacobites were defeated in the battle of Cromdale in 1690. Never a shortage of serious history to discover in Scotland that just adds to the awe surrounding this delicious spirit. It is now owned by Inver House Distillers who also own Knockdhu, Speyburn, Balblair and Old Pultney. 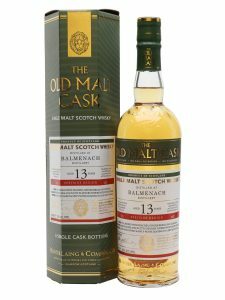 Old Malt Cask Balmenach 13 Year Old Single Malt Scotch Whisky – Refill Bourbon Barrel number HL14727 – 50% Alcohol – Speyside. Colour: Super light Sauvignon Blanc colour as a result of aging in a refill Bourbon barrel. Nose: Custard Apple, ginger snaps, vanilla wafers and fresh cream. Palate: Creamy vanilla custard over baked Fuji apples. Light but with a lot of swirling delicate flavor. You can guess by now that this little adventure is meant to take you well out of your comfort zone and make you think a little more than perhaps you do normally when sitting down to a dram. I do like drams that take time to discover so hopefully you blanked out time in your busy schedule to really dive in. Finish: Very gentle for 50% ABV and the delicious vanilla wafers and cream continues on. The apple dies away but I get that touch of ginger or perhaps the alcohol finally kicking onto the tip of the tongue and making me think spice. Balmenach is very rarely seen so it is a real treat having this cask. Thanks Hunter Laing for adding this distillery to the list of Advent Calendar Adventure stops. I would like to see more Balmenach in future editions and perhaps something older or in a first fill cask just for comparison. Whisky Vault………Scotch Test Dummies………must visit……..must watch………. 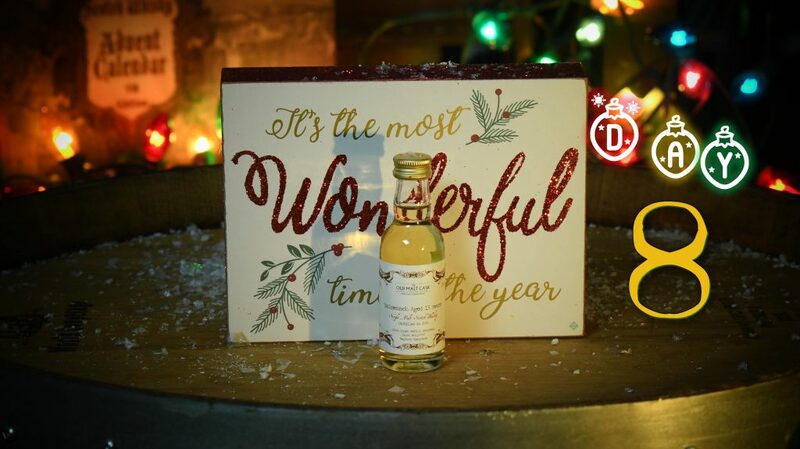 On day 8 of the 4th edition Scotch Whisky Advent Calendar we had the A.D. Rattray Fettercairn 11 Year Old. Tomorrow it is time to have our yearly taste off. Every edition we bottle at least two casks from the same distillery. This is so that you can see how different each single cask is even if the whisky is from the same distillery and close to the same age. Always done from different bottler’s perspectives this excersise has generated some of the most interesting discussion over the years. See you tomorrow then same dram time same dram channel. Looking forward to the taste-off. I am hoping it is the Craigellachie which was my highest scoring dram of the first week. 1 in 7 chance I reckon.